Instructor pointer The green laser gives an instructor a way to direct the attention of the entire class to the subject. 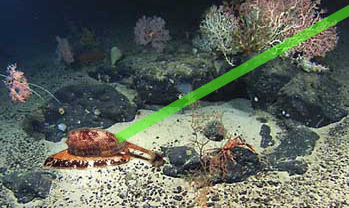 Nothing beats the green laser for pointing out dangerous marine life from a distance. The geography cone (conus geographus) is capable of killing an adult diver. Identify hard to see objects. 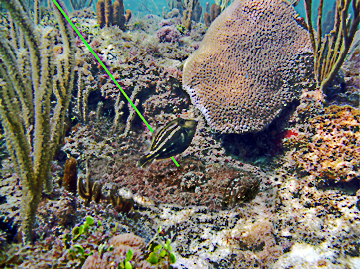 The stone fish is one of the most difficult of all the dangerous marine life animals to see. It actually looks like a stone or rock on the seabed, sometimes partially submerged in the sand. 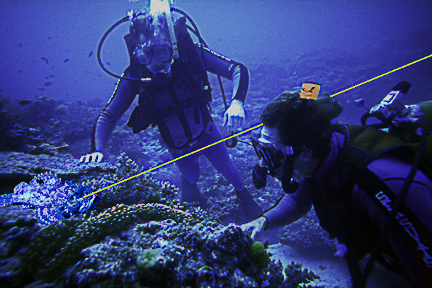 The green laser makes it easy to point out to your fellow divers. You can make out the eye just below the end of the laser beam and the mouth a little further to the right.